Chuck Burton/APLance Stephenson is averaging 6 points on 27% shooting this season. Lance Stephenson leaving the Indiana Pacers and joining the Charlotte Hornets for three years, $US27 million was one of the the biggest free agency signings of the offseason. Stephenson was the X-factor for the Pacers last season, the NBA’s leader in triple-doubles, and LeBron James’ biggest agitator. However, while the season is young, the Hornets are 2-3, and Stephenson has struggled, averaging 6.6 points per game on 27% shooting while going 0-5 from three-point range. His other numbers are solid: 10 rebounds and 5.6 assists per game, but he hasn’t quite figured out how to blend with the Hornets. The scout also mentioned how Charlotte’s offence is different than Indiana’s in that they run a lot of pick-and-rolls and post-ups, leaving point guard Kemba Walker and center Al Jefferson to dominate the ball. He offered a potential solution to getting Stephenson more acclimated with the team. “I think what they are going to end up doing is subbing him out early and bringing him back with the second unit, where he can do more of the things he likes. Miami did that at times with Wade, putting him in when LeBron wasn’t out there. Then, in the fourth quarter, they will figure it out. Maybe Lance will get enough touches early that he will be more willing to move it later. 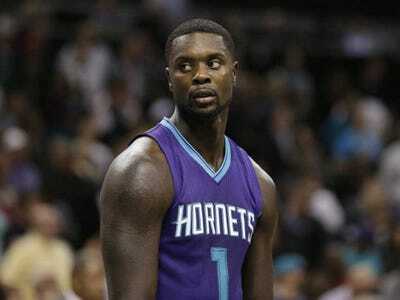 If Stephenson learns to blend with the Hornets, they will immediately become one of the scariest teams in the East. However, as other teams in the NBA are proving, it can take time to come together.